Did you know that over half of all Americans have some kind of allergies? That means that even if you don’t have them, you likely know plenty of people who have to deal with allergies each year, and you may even develop them later in life. Whether you have severe symptoms or just a small cough, allergies can get pretty annoying. Eye allergies are one of the more frustrating types of allergies to deal with during the Spring. Symptoms include dry, itchy eyes and redness. Unlike other allergies, it’s also pretty easy for people to tell when you’re dealing with eye allergies. While you’re dealing with the itching and swelling, you might be wondering why you have these symptoms in the first place. After all, allergies seem to be one of the most common health issues in our society. If that’s you, stick around. We’re answering the question “Why do we have eye allergies” here. We get eye allergies for the same reason that we have any other allergies, and it’s actually much more simple than you might think. Allergic reactions flare when we get into contact with allergens. Allergens are harmless substances like pollen, hair, mold, or nuts. While these substances aren’t bad for us at all, our bodies can confuse them for dangerous materiels. Our immune system then attacks this substance in an effort to protect us. Sometimes it may just be trying to expel the allergen from the body through sneezing or coughing. Other times, your body may be trying to warn you to get away from the substance. Unfortunately, this means we react to items that like pollen and animals that mean us no harm. Of course, this doesn’t explain why some people can have life-threatening reactions to foods like peanuts and shellfish. Scientists still debate on why our bodies have such violent reaction to these types of allergens. Can You Avoid Eye Allergies? Believe it or not, there are some who say that allergies are avoidable if our immune system learns how to deal with them in our younger years. This idea comes from the hygiene hypothesis. In short, the hypothesis states that living in an extremely sanitary environment during childhood may keep our immune systems from developing naturally, which would make us more susceptible to allergies and other diseases. Like any scientific hypothesis, though, many people dismiss this idea, but it could explain why allergies are more common in developed countries. Some take this to mean that parents should encourage their kids to get in contact with more germs than they usually would in the hopes that they won’t have allergies. While some studies have shown this to work, tossing your child in a pile of mud might not be the best solution to avoid eye allergies. 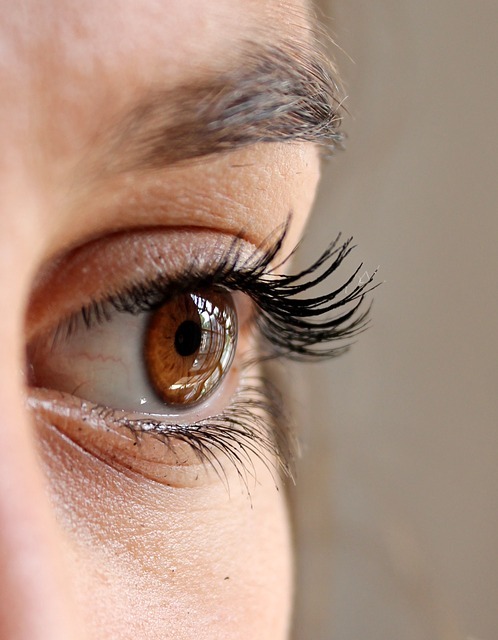 Now that you’ve read this article, you should have a good grasp on why we have eye allergies. But knowing why you have eye allergies isn’t going to keep you from having to deal with them. Check out this guide to surviving eye allergies on our site.